Joan Jett with guitar “Melody Maker” which will be on display at the exhibit. Picture courtesy Todd Oldham Studio. “Instruments are some of the most personal objects connected to musicians, but as audience members we are primarily used to seeing them from far away, up on a stage in performance. 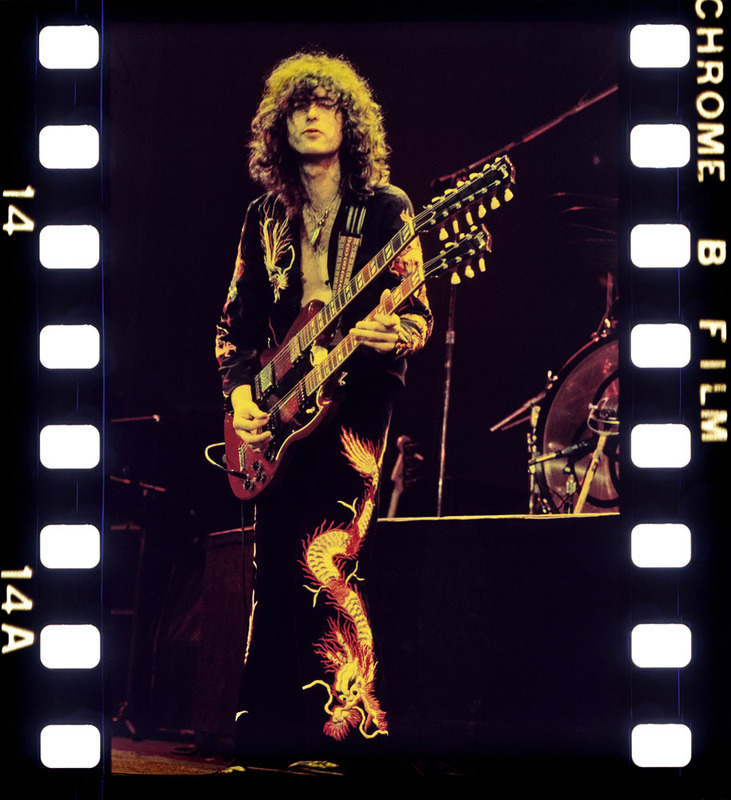 This exhibition will provide a rare opportunity to examine some of rock and roll’s most iconic objects up close.” -Jayson Kerr Dobney, Frederick P. Rose Curator in Charge of the Department of Musical Instruments. The first major exhibition in an art museum dedicated entirely to the iconic instruments of rock and roll will go on view at The Metropolitan Museum of Art beginning April 8, 2019. Play It Loud: Instruments of Rock & Roll will explore one of the most influential artistic movements of the 20th century and the objects that made the music possible. Through more than 130 instruments dating from 1939 to 2017—played by artists such as Chuck Berry, Eric Clapton, Sheryl Crow, Bob Dylan, Don Felder, Kim Gordon, Jimi Hendrix, James Hetfield, Wanda Jackson, Joan Jett, Lady Gaga, Steve Miller, Joni Mitchell, Jimmy Page, Kate Pierson, Elvis Presley, Prince, Keith Richards, Patti Smith, Bruce Springsteen, Ringo Starr, Eddie Van Halen, St. Vincent, Tina Weymouth, Nancy Wilson, and others. 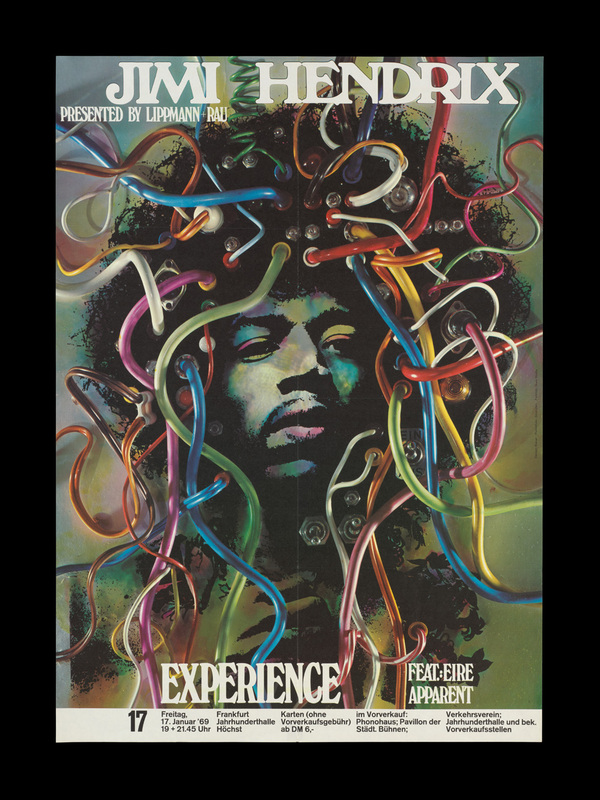 Poster by Günther Kieser promoting the Jimi Hendrix Experience’s European tour appearance with Eire Apparent at Jahrhunderthalle, Frankfurt, Germany, Friday, January 17, 1969 Collection of David Swartz Courtesy The Metropolitan Museum of Art. Organized thematically, Play It Loud will explore how musicians embraced and advanced emerging technologies; the phenomenon of the “Guitar Gods;” the crafting of a visual identity through the use of instruments; and the destruction of instruments in some live performances, one of rock’s most defining gestures. The exhibition will include many of rock’s most celebrated instruments, including such guitars as Jimi Hendrix’s electric guitar “Love Drops,” originally decorated by him; Eric Clapton’s “Blackie,” Eddie Van Halen’s “Frankenstein,” Jerry Garcia’s “Wolf,” and Joan Jett’s “Melody Maker,” and drums from Keith Moon’s “Pictures of Lily” drum set. 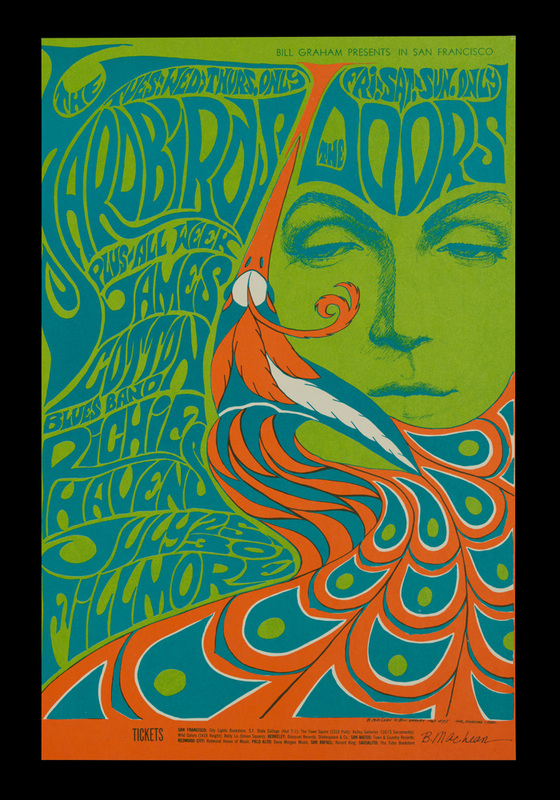 By displaying several rigs used in live performances and sound recordings, the exhibition will also demonstrate how artists created their own individual sounds, and some 40 vintage posters, costumes, and performance videos will illustrate key components of the musical movement’s visual style and impact. The Rolling Stones on The Ed Sullivan Show, 1966. “How to Launch Your Guitar in 17 Steps.” Photo: Annie Leibovitz. In conjunction with the exhibition, The Met will offer a variety of programs, including a “Conversations with . . .” evening; a MetFridays evening celebrating rock and roll with performances, talks, lectures, screenings, and workshops on September 13, and a specially themed Heart Strings Family Afternoon on May 12. The exhibition will travel to the Rock & Roll Hall of Fame in November 2019. This is the second collaboration between The Met and the Rock & Roll Hall of Fame after Rock Style, which was presented at The Met in 1999. The Metropolitan Museum of Art is home to one of the world’s most diverse and important collections of musical instruments. With over 5,000 examples from six continents, it is unsurpassed in its scope and includes instruments from nearly all cultures and eras. The André Mertens Galleries for Musical Instruments consists of five rooms: two large-size galleries—Mapping the Art of Music (gallery 681) and The Art of Music through Time (gallery 684)—and three smaller-size galleries—Fanfare (gallery 680), Instruments in Focus (gallery 682), and The Organ Loft (gallery 683). The nearly three-year project to renovate and reinterpret the André Mertens Galleries has been completed recently and now the entire galleries are open to the public. For more information about the department, click here.